i Click 'view all' to instantly compare this wait with offers on other top label makers. Epson LabelWorks LW 300 Label Maker is currently selling at $239.99, approximately $103.36 higher than average. With a lowest price of $39.99 and an average of $136.63 it is selling on the high end of its usual range. Price volatility is 1.34% (meaning it does not change often), so you might have to wait a while for the price to drop. Right now this product is a recommended 'wait'. 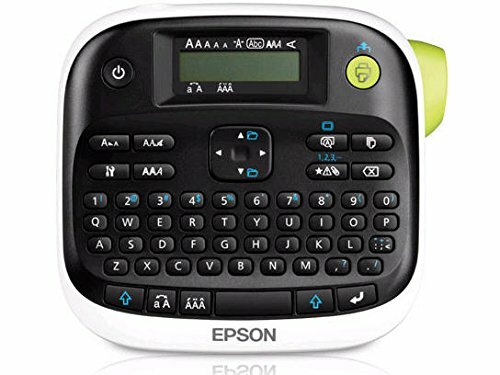 Compare the current price, savings (in dollars & percent) and Buy Ratings for the top Label Makers that are closely related to Epson LabelWorks LW 300 Label Maker. Here is how Epson LabelWorks LW 300 Label Maker compares with other leading Label Makers. The EPSON LabelWorks LW-300 label printer is where organization meets imagination. No longer restricted by simple options, you can choose from a huge range of symbols, frames and fonts. With dozens of tapes in a variety of styles, borders, sizes and colors, your creativity can be boundless. LW-300 also is efficient (save up to 30 self-created label designs with built-in memory to prevent redundant work) and more mindful of supplies (dramatically smaller lead margins mean up to 60% less label waste). 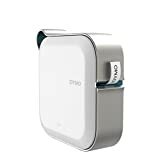 It’s perfect for creating professional-looking labels at home or in the office — for files, storage bins, household items, clothing and just about anything else. 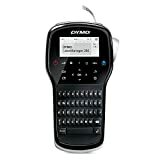 Explore the amazingly versatile LW-300 label maker and celebrate your creative expression. The LW-300 offers 14 fonts, 10 styles, 300+ built-in symbols, over 75 frames and glow-in-the-dark and reflective options. With so many choices for creative expression, you’ll finally have labels that catch up to your imagination. Take ordinary to extraordinary with LabelWorks label printers, they make it easy to create customized labels for files, storage bins, household items, clothing, scrapbooking and more. With a wide range of fonts, styles, frames and specialty modes, these easy-to-use products offer amazing versatility. And, they ensure less waste with smaller margins compared to other brands.